The live music programme at Deepdale Backpackers & Camping continues with a brick barn Sunday Session from the superb Gentlemen of Few. Really excited about hosting these hugely talented guys, going to be a great night. 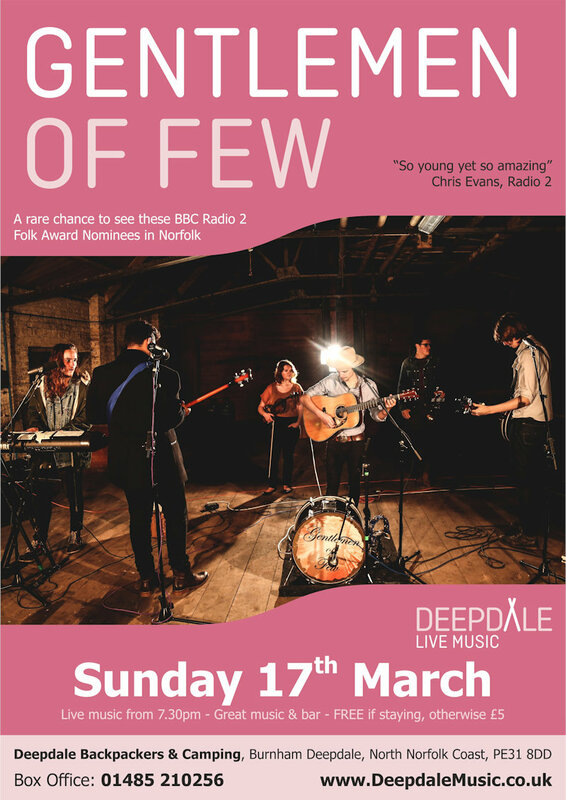 BBC Radio 2 Folk Award Nominees Gentlemen of Few are heading to Deepdale to play their eclectic blend of Indie Folk and alternative rock. 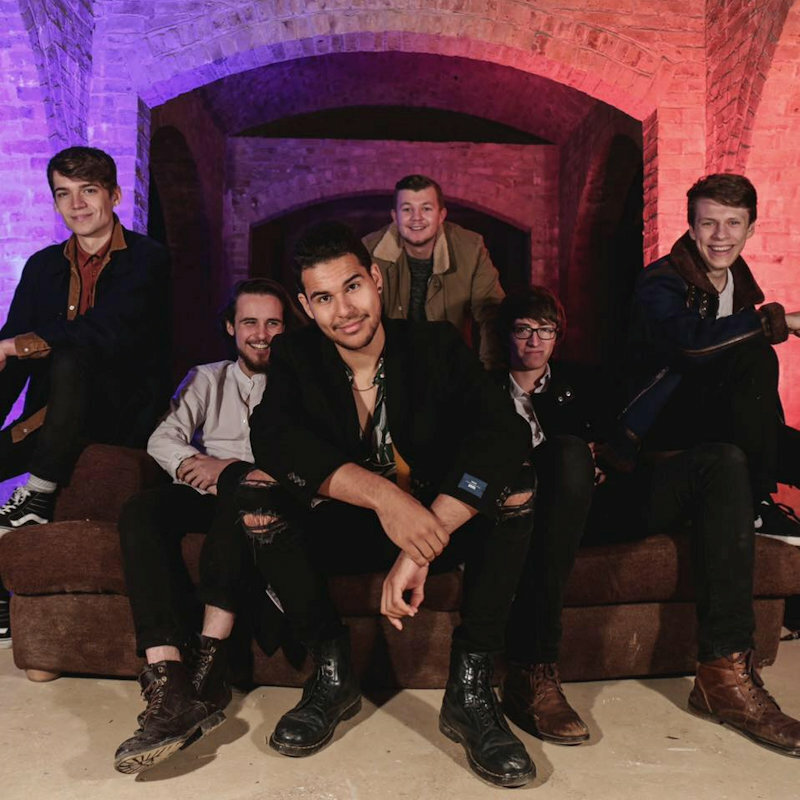 With skilful vocal harmonies and powerful lyrics this fantastic six-piece perform their music with a raw passion and intense energy hardly to be believed. Having supported the likes of Hayseed Dixie and The Blockheads, and played at the Royal Albert Hall and festivals around the country, this is a rare opportunity to see this band live in Norfolk! 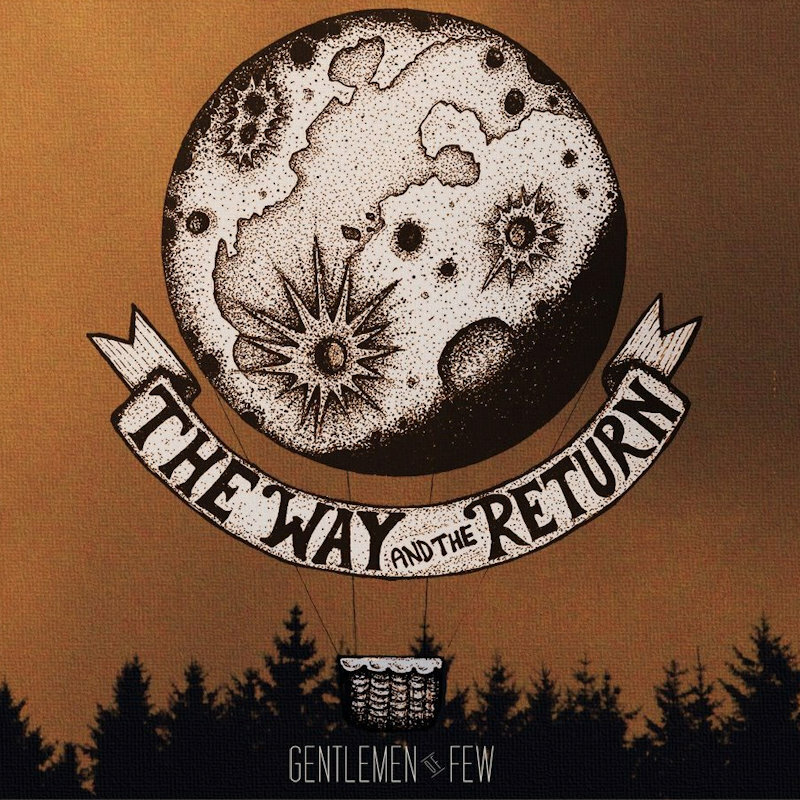 Gentlemen of Few were formed along the South-East coast of England in 2009, founded by four young musicians who each found a vast pleasure in their ensemble work as students. They shared a broad and varied history of musical experience between them, spanning multitudes of genres, styles and formats, opening up plenty of avenues for them to explore. This Winter Sunday Session will take place in our Brick Barn, with a bar and fire pits in the backpackers courtyard. Please bring snacks, but not drink as our bar will be serving beers, ciders, wines and soft drinks. There will also be lovely street food from The Cabin from 6pm to 9pm (last orders 8.45pm), one of our Street Food Nights. 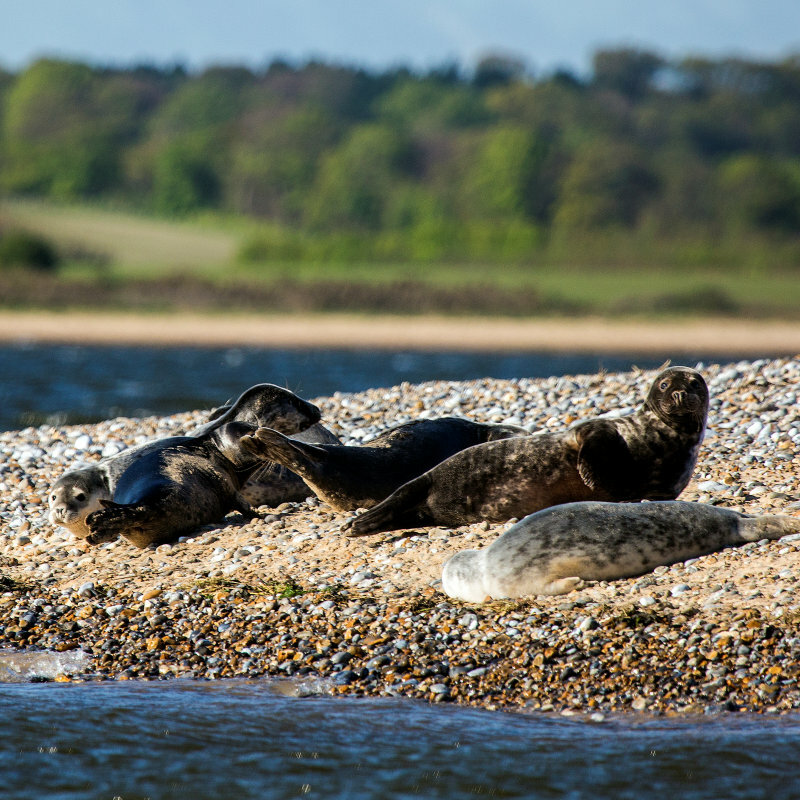 We can�t imagine a better end to a Winter weekend, so why not join us. Book a bed with us in the Hostel or a pitch on the Campsite for Sunday night and entrance is included. Otherwise, tickets available in advance from our Yapsody Box Office for �5. Gentlemen of Few - Sunday Session - The live music programme at Deepdale Backpackers & Camping continues with a brick barn Sunday Session from the superb Gentlemen of Few. Really excited about hosting these hugely talented guys, going to be a great night.